Members who have attended at least one ADAA conference and are willing to recruit broadly, organize content, and increase attendance. The time commitment is three to six hours every month, especially August through December, including required monthly one-hour calls. Committee members review submissions, make final selections for high-quality educational content, and organize special sessions. Subcommittees include Practice, Research, Posters, Master Clinicians, Career Development, and Depression. 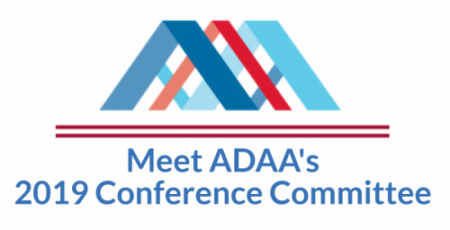 Learn more about the ADAA 2019 Annual Conference. If you are interested in learning more about this committee and how you can be involved, please contact Susan Gurley, ADAA Executive Director.